Congratulations to Bonnie A. from Florida! Thank you soooooo much to all who entered and a huge thanks to Coach for letting us host this absolutely fabulous giveaway and be a part of the Holiday Blog-a-Day!!! Coach has partnered with The Fashionable Housewife for an amazing giveaway! We are one of Coach’s 30 favorite bloggers and have partnered with them for their Holiday Blog-a-Day promotion this year! We are so excited to be a part of such an amazing group of bloggers and have the opportunity to show you a few pieces from the Coach Holiday collection and give one lucky reader the chance to win the fabulous Amethyst Texture Metallic Audrey Shoulderbag!!! If you visit www.coach.com/holidayblog each day during the promotion, you can read what read what this group of truly talented fashionistas have to say about Coach, including giveaways, reviews, pictorials and more! Check out our Holiday Handbags from Coach post and then come back to THIS POST and leave a comment on this post and tell me which bag you like best or what you like best about Coach in general. 5 Entries: Enter The Fashionable Gal’s Coach Giveaway. 5 Entries: Add our Coach Giveaway button to your sidebar and do not remove it until December 20th. Please take a moment between each comment you leave or you’ll upset the spam catcher!! If you have trouble leaving a comment and our spam catcher is giving you trouble, please email me and let me know! Please REST ASSURED if your comment is caught by the spam catcher, it is not lost! Your comment is just being held for moderation and we will approve it as soon as possible. We moderate comments daily. Contest runs from November 23rd till December 20th. Last chance to enter is Dec 20th at 11:59pm ET. A winner will be contacted on or before Dec 30th, 2009 and asked for full name, along with their mailing address. If no response is given within 48 hours, a different winner will be chosen, so please be sure to check your email. Must be 18 or older to enter. Contest open to USA and Canada only! Prize has been provided by Coach, Inc. and will be shipped by The Fashionable Housewife. All entries made after Dec 20th at 11:59pm Eastern Standard Time WILL NOT BE COUNTED!!! 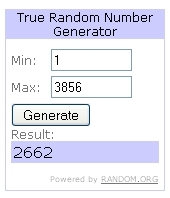 Only entries 1 – 3856 were valid. Thanks to Coach for providing both the review and giveaway bags for this promotion! « ideeli Red Sale Event! 90% Off Calvin Klein, Free People, Diesel and more! I love Coach products because they made in the USA with high quality materials and are just fabulous! I am on Twitter :@mrsk2002; I am on Facebook:Dianne Kurtz and i subscribe to your emails. I would like to win this Coach bag because the color is amazing and the shape is also amazing. I like Coach because they have many different styles and the Coach bags can worn as an everday bag or as just an evening bag. wow this bag is georgous! purple is my favorite color and i don’t currently own a purple bag! i LOVE coach because the bags never go out of style! thanks SO much for the opportunity! my fingers are crossed!!! I Entered The Fashionable Gal’s Coach Giveaway. I love COACH because of the chic styles, quality, and the durability of their products. The Amethyst Textured Metallic Audrey Shoulderbag looks gorgeous!!! I’ve been lemming for one since it first came out. Wow, I *love* this bag! Love the color and the shape, plus it’s a roomy stylish bag – great for MOMS. I subscribed to The Fashionable Housewife by Email. I entered The Fashionable Gal’s Coach Giveaway! I love this color of purple, so chic. I appreciate Coach handbags extremely high quality craftsmanship. A Coach bag will last a lifetime! uh . . um . . . drool . . . uh * heart beating faster um . . . . drool . . omg Never have I seen such a beautiful bag! Oh please! Oh please Gods of Coach let me win! I love this Audrey Coach bag because its so chic, roomy, and perfect for day or night! And the color selection is excellent! What I like most about Coach is the quality of their handbags. I think every woman deserves a Coach bag. .-= Rednas´s last undefined ..If you register your site for free at =-. I would give this handbag to my sister. She likes Coach and has one. I think the best thing about Coach is it is a great quality bag for not very much money (compared to designer bags)! Thanks for the giveaway! I really want to win because ever since I was a senior in high school Ive been crazy about Coach but I don’t own anything coach because I cant afford it. What I like best about Coach is that all there bags are so gorgeous. First purple is my favorite color, and 2nd I could never afford a coach purse, being unemployed, and they are (3) such a quality product, (and made in the US!!) who WOULDN’T want one?? My birthstone is Amethyst, I’ve been eyeballing this bag on the Coach website for a while now, but sadly I don’t have the wiggle room in my budget since it’s the holidays and a girl’s gotta pay the mortgage. :-/ I love Coach’s mix of classic style and trendy fun. .-= Charity´s last blog ..Interesting week…. =-. I entered The Fashionable Gal’s Coach Giveaway. yay! I love Coach, always have, always will. I would love to win this bag. The quality is unparalleled in this price bracket and the fact that it is practical is a bonus. The color purple is such a beautiful gem color and the metallic shimmer makes it say, “Look at me!” This Coach handbag is a dream. If it were mine, I could make all my friends jealous. And if they’re nice enough, I could be sweet enough to let them borrow it….maybe! I entered the Fashionable Gal’s Coach giveaway too. I love Coach! It’s classy and sassy…like me! The Amethyst bag is gorgeous and purple is my favorite color…the best thing however is the construction – TIMELESS! I would like to win because this bag is so beautiful, I love the color ! I am a huge Coach fan ! I love all of their products, and have never disappoint me =) Thanks for entering me !! I would LOOOOOVE this bag. I have always loved COACH and haven’t ever really been able to afford it! I love the fact that they do hold up so well. I have ONE bag that I received for my bday YEARS ago and it still looks and feels brand new! I am a fan on Facebook (Erin Taggart) and I follow you on twitter. @seekrapunzel. I also retweeted! Gorgeous purple bag (my favorite color!) – I love Coach b/c their bags are timeless and a beautiful quality. My Coach bag keeps looking better with time. I’m now following @thehousewife at Twitter also (my Twitter name is @afox98). Thanks for the chance at winning! I love the great quality of Coach. They last so long. They have a great selection of styles and colors. What girl wouldn’t love Coach! Especially this unique bag. Beautiful rich color. .-= anniedz´s last blog ..Stylish Gifts for Under $25! =-. I’m following @Coach on twitter. I’m @ohmykaun. I really would love to win this purse because it is so fabulous and festive. I always say, “I either have bad luck or no luck at all.” It’s true. I probably won’t even win this giveaway, but at the very least, I can say I tried. I love that Coach can make both classy and sassy purses, suitable for the career-oriented woman as well as the edgy party girl. .-= Connie´s last blog ..A sneak peek… =-. I would like to win because I think it would be a lovely Christmas present, maybe even a treat for myself. I love Coach, it is the classic American designer handbag. .-= Jen M.´s last blog ..Product Review – Marie Louise Cosmetics Restoration Clear Gel =-. I would love to have a coach handbag, as a stay at home mom there are a lot of things that we just can’t afford, and spending money oh a handbag is one of them. It would be awesome to be able to treat myself to a coach handbag and even better if it’s free! Purple is my favorite color and I don’t think I have seen a bag made by Coach that I didn’t like! I am a follower on your blog, twitter, a fan on facebook, I added your button to the top right sidebar on my blog at http://www.primitivemomoftwo.blogspot.com. I also blogged about it too. My twitter is PrimitiveJunkie (i also follow Coach now too) where i tweeted about the contest and Fb is my name. .-= courtney´s last blog ..Clarisonic Giveaway =-. I’d love to win because I’ve never owned a Coach bag and I love the style of them! Thank you! I’d love to win this bag just because it’s awesomely cool! The best thing about Coach, outside the quality, is the way they’re trendsetting in style. I have coveted Coach handbags since I first laid eyes on them a couple of decades plus ago, have been lucky to own one as well. High quality products with a real feel for lasting fashion makes Coach the ultimate handbag brand. .-= courtney´s last blog ..Coach Bag A day Giveaway =-. I would love to win because this purse is fabulous. I like the quality and the timelessness of all the Coach products! .-= Dana´s last blog ..Win an HP TouchSmart 600 Computer at Jolly Mom =-. I Follow @thehousewife on Twitter. Love, Love, Love Coach bags! There is a style and shape for every body. And the colors are yummy! Please please, I want this bag! Really well-made, made to last, but not priced as high as they could be with how quality Coach is. .-= DesignerElla´s last blog ..Some Foods DO Taste as Good as Skinny Feels =-. I heart heels and I heart COACH! I’m expecting in just a couple of weeks, and this new handbag would certainly make me a “fashionable housewife!” I want, I need, I heart this amethyst bag! I love coach, their bags last forever, and I love that they stand behind their bags and have a repair service. iheartheels is following fashionablehousewife on Twitter! .-= Julie´s last blog ..Tory Burch’s Thanksgiving Plans! =-. I love Coach because they’re beautifully made bags, but they’re not as expensive as a lot of designers. I have two of the patchwork purses in tan and red and love them. This purse is gorgeous and in one of my favorite colors. .-= Amy´s last blog ..The Number of the Day is 5 =-. .-= jodifur´s last blog ..My Favorites =-. iheartheelsis is following COACH on Twitter! @DesignerElla I re-tweeted your tweet today about the giveaway. But the new official retweets don’t have permalinks. Following @coach on Twitter. Username is @onecookieshort. Following @thehousewife on Twitter. Username is @onecookieshort. Your button is up on my blog sidebar. I love Coach. Their bags are timeless, fashionable and last forever. I try to buy a couple each year and I never get rid of them! .-= Maureen´s last blog ..Let’s See How Many Times the Word “Angry” Will Appear In This Post =-. I entered the Fashionable Gal’s Coach Contest. I put the button on the bottom of my sidebar! I Subscribe to The Fashionable Housewife by Email. I followed TFH through RSS and Bloglovin’. Fan on Facebook, Following you & coach on twitter (reddianasaur) also retweeted as well, Since my dh lost his job a year ago, buying Coach has come to a halt. I would love to win this bag it would be the best christmas for me. We have had to change our lifestyle so much. Love this bag what a beautiful color! I entered the contest @ The F. Gal! I’m a fan of The Fashionable Housewife on Facebook! Ever since I was a little girl I have appreciated the fine quality of Coach leather products. I remember carrying my mother’s handbags around the house and feeling their supple leather… Today I have started my own collection of Coach, marking milestones in my life with new purses… my 16th birthday, high school graduation… my first job… to have this bag would be a privilege and I hope to wear it well. Posted about this contest on my blog, I Heart Heels!! .-= Julie´s last blog ..Coach Holiday Handbag Giveaway! =-. I love the color of this bag – it’s a great winter bag for every day use! Coach products are always high quality and built to last. This one would make a great holiday gift for my mom. .-= Melissa´s last blog ..Fajitas & Ritas =-. 3. on trend but timeless. .-= Jaime´s last blog ..Baste friends forever =-. .-= veep veep´s last blog ..Twilight New Moon =-. I follow you on Twitter! NYTMBlog! i want to win this bag because it’s beautiful! I love the color! I don’t have any handbags in that color. I love all things Coach and only have 1 Coach handbag. This would be awesome to win! .-= Sarah @ Small Slice´s last blog ..Long QT Check Up =-. I follow @Coach on twitter. I would like to win because I absolutely love Coach handbags — they have classic styles and beautiful leather! I found you from Jaime’s Tweet. I love Coach’s leather & this gorgeous Amethyst color! I’m not a wife or mom yet, but when I am (hopefully), your blog would fabulous for advice & tips! I am always looking for a great deal, and winning this coach bag is at the top of my list. I love purses just as much as I love shoes. Winning would be a great Christmas gift for the lucky winner….or myself. You can’t go wrong with this Coach bag because it is roomy, big enough to hold all that stuff that we women carry around. This is a great holiday give away. Ahh! I love that bag! Okay, why I love Coach in general is easy-it’s absolutely the quality and versatility of the bags. They’re never over-the-top trendy and I can carry them for years. My go-to bag is in fact a tan leather Coach tote that I’ve been abusing for 6 years now! It carried me through College and extreme over-stuffing with books and binders, 3 years of living in Miami at the beach, on boats and in the sand, vermont winters with snow and rain, and now schleping my lap top and folders to and from work in California. It’s still in amazing condition despite the extreme abuse! It is by far the best handbag investment I ever made and I’d be sooo psyched to add a more chic coach bag to my arsenal. Thank you so much for these contests! I love the simple quality of the Coach brand, professional yet elegant, my go to bag fro every day and season. I love the purple color too, it is so glam. I want to win because this would be great for upcoming holiday parties. I like Coach because they have such a wide variety of purses to pick from! I love Coach because of their cute and fashionable bags. They feature everything from the hippest styles to the classics can’t live without bags. Not to mention their bags are high in quality and customer service is awesome. I’m a follower through twitter (KayliciousRN). I’m a follower of Coach through twitter (KayliciousRN). I would love to win this because my husband has been out of work for a year & we can’t buy anything for ourselves. I love Coach because it is well made and timeless! .-= tuesday´s last blog ..The One With The Video =-. I love caoch because they are unique, trendy handbags that made with quality! I love the featured handbag…there is nothing I would love more than to win a purple chrome coach bag! I follow you on twitter…jeannie210. I entered the Fashionable Gal Coach giveaway #1. I entered the Fashionable Gal Coach giveaway #2. I entered the Fashionable Gal Coach giveaway #3. I want to win this for my sister. She would love it! I’m excited and hoping to win a Coach bag because of the quality of their merchandise. I love this particular one because of its size. I love coach because to me they stand for class. There is not one bag that is not perfect. I need a metallic bag and LOVE this color. Coach is synonymous with quality and that is what I like about them. I Entered The Fashionable Gal’s Coach Giveaway entry 3.
entered The Fashionable Gal’s Coach Giveaway. .-= brooklynshoebabe´s last blog ..Swinging through the Web 2.0 Jungle =-. What I love best about Coach is that they make such elegant, timeless, and fun pieces that inspire everyone! Every time I’ve ever been in a Coach store there is not one person who doesn’t have a smile on their face and to see the excitement and know they are thinking about what it’s going to be worn with is magic! The reason why I would love to own this Audrey bag is because it’s such a beautiful statement piece and the rich purple color is perfect for all year round. This would be a perfect ending to a rough year! i love coach leather. the monogrammed things are tacky but the leather is just gorgeous and i want a purple bag badly. i have a coach bag that my mom gave to me that’s over 30 years old. it’s still classy and in amazing condition. I love Coach for the luxurious leather, but Coach bags are timeless, as well. I’d love to win because I need a purple bag!! I want to win this bag because it is gorgeous and a nice statement accessory. I love Coach because it is always sophisticated, classic and perfect for any look. And subscribed to email updates! I like the tartan glam tote the best. Thanks! This Amethyst Textured Audrey bag is definitely a favorite. Anything purple or black is pretty much after my heart. .-= Kim C´s last blog ..kayceepurple: @thehousewife: ME. I’m excited to have a chance at winning a COACH handbag. =-. My birthday is Nov. 30 and this would make a great gift. I love coach because they have unparallel quality and when I carry those purses, I feel proud! I am following @COACH on Twitter. My Twitter name is @kboo48. I love the EMBOSSED EXOTIC ELLA style:14206 its so pretty. I also entered the Fashionable Gal Coach giveaway #1. omg!! i love that purse! way to cute!! would love to win it!! i love the poppy collection!! I love Coach bags! I really adore the Annie Shoulder Bag. Thank you for this very nice giveaway. COACH OP ART SATEEN AUDREY bag is beautiful and roomy. It looks like it would be comfortable. I love the Amethyst Texture Metallic Audrey Shoulderbag. Love the purple color! Love that it is big enough to put a notebook or my sketchbook! .-= abitnerdy´s last blog ..TGIF & a China Glaze Giveaway! =-. I tweet as kristins10. Followed you on my twitter. My favorite Coach bag is the Patent Large Spotlight (Style: 13869 $368) because it reminds me of the Balenciaga bags and I really like simple but edgy purses. I really like Coach because it is a very classic American brand. A lot of people have it && want it. I remember when I was about 14, I begged my parents to have a Coach bag. That’s what Coach does to people. lols :] My mom is a big fan too, btw! Amethyst Texture Metallic Audrey Shoulderbag. Enter me. I tweet about this entry!!! Oh my goodness I love all these bags but my favorite is the Brook inlaid. Love these new bags, Coach makes such lovely stuff. The sateen Hailey I think is my fave, I love silver for the holidays. .-= Kimberly Yeaton´s last blog ..Lancôme Définicils Mascara =-. please enter me in the coach giveaway!!!!! I LOVE the Amethyst Texture Metallic Audrey—the color goes so well with my fall/winter and holiday wardrobe!!! .-= Scarlett´s last blog ..The Fashionable Housewife’s Coach Giveaway! =-. please enter me in the contest thanks!! I would love to have the bag your giving away! I like Coach because they are fashionable and mature. I am also following your RSS feed. I enter the contest on The Fashionable Gal. The best thing about coach to me is their customer service and quality, I got introduced to coach 7 years ago when I was still in high school and up until this day I am a fan. My collection has grown from a wristlet to several wristlets, bags, shoes and accesories. Unfortunately because I am doing my post grad I have been stalling on my Coach addiction but I would love to add this to my collection because of how gorgoeus it is the colour is absolutely breath taking and I have been dying for this style of bag! I added your button to my Blog (top left corner!)! thanks and please enter me to win the bag! I subscribe to your feed through Googlefriend! I love the new Kristin Tote. I absolutely love Coach. They have such timeless designs and are able to withstand changing trends. Coach has always been synonymous with elegance and I am constantly receiving compliments whenever I have a Coach purse on my arm. I would love to win this gorgeous bag! This bag is just gorgeous, I would love to win. I love Coach b/c it manages to be classy and chic while still remaining stylish and relevant. I am following @thehousewife on twitter! I LOVE all of the bags fromthe poppy collection, especially the spotlight ones. They are amazing! I love the bright jewel tones and simple patterns. The purple is to die for! .-= Carla´s last blog ..Flat Fee Shipping at Green and Chic =-. After looking through, I like the Amethyst Texture Metallic Audrey Shoulderbag best so it would be great to win it! Entered the giveaway at The Fashionable Gal! I just love Coach products. They are made in the U.S., very good quality, and come out with new designs all the time. +5 I entered The Fashionable Gal’s Coach Giveaway. I added the Coach Giveaway button (website link with my name) on the bottom right hand side. .-= Lizzie´s last blog ..The Story Siren Giveaway =-. Coach products are absolutely amazing. Quality and Looks LOVE IT. I like the Brooke Inlaid the most. Gorgeous new bags!!! Pick me! I’m a graduating senior from the University of Oregon and in desperate need of a grown-up wardrobe as I launch my career this Spring! What could be a better start than a beautiful bag!? I follow Coach on Twitter @kristinnw. My favorite coach bag is the OP ART CHAINLINK MAGGIE style:14420 in silver/multicolor. What I love about a Coach bag is that they are stylish no matter when you buy it or how long you’ve had it. They never go out of style, they’re are sturdy and dependable. Like a good girl friend should be! They are simply the best and every woman should have one….and deserves one. I’m a FB fan (Kristin Kaufmann). I love plaid, pink and purple! So you can imagine how much I love this bag since it is purple & metallic! I follow you, @thehousewife, on twitter. I tweeted about the contest today! I love any of the really high quality, plain leather purses from coach, there amazing and classic! I love this bag! Honestly, I would choose either this bag or style:13821 in black to be my bag of choice. Thanks for entering me! I like that you can order a Coach bag online, and pick it up three hours later in their store. I adore Coach because they are an amazing company with a high end product but have staff that are very friendly and down to earth. I always feel welcome in their stores!! .-= Ashley´s last blog ..Lime Green & Silver Look =-. I’m following thehousewife on Twitter – AsTheNight. I hope the followers I have enter too because this is a great giveaway!! I have to say that I love the patent book tote (style 14376) in silver/licorice. I think that Coach bags are trendy but classic at the same time! good luck everyone. Happy Holidays! OMG.. I absolutly love coach.. I love all the large bags that are dark colors… love all the shapes and love. love . love the large totes…. Please enter me i’m a follower @ FACEBOOK FANS …. The crackled metallic brooke handbag melts my heart! I love it!! This Amethyst Texture Metallic Audrey Shoulderbag is amazing too:D I also love this contest, thanks to you guys and Coach!! Sorry, but, I decided to change my email for more convenience so it used to be the “cupkakes…” one to my name. Sorry if that threw you off!! i love this bag actually! i’ve been dying to have it– it’s the perfect size to carry all of my stuff and great for everyday use!!! Although I like the bags I just mentioned, I would be more than thrilled to have this purple purse you’re giving away. I just love royal purple in a purse. Thanks for this amazing oppurtunity! I follow @coach and @thehousewife on twitter! Happy Holidays! The Audrey is my favorite style bag. I added your button on my blog as a post! I blogged about your giveaway & Coach’s Blog-A-Day! I really like the “starlet” bag… classically cute with a twist. Entry #2: I entered the Fashionable Gal’s Coach Giveaway. I followed @Coach on twitter. I followed @thehousewife on twitter. My favorite thing about Coach is that the styles are not only really fun and classy, but they’re classic designs that won’t go out of style, which is great because a Coach bag will last a lifetime. I entered the Fashionable Gal giveaway. And I’ll fan you on FB tomorrow…I can’t get to FB at home. I’m Alyson B. .-= Alyson´s last blog ..E.L.F. Black Friday & Cyber Monday =-. I love Coach because it’s high quality, timeless, and is a great value for the price – which is more affordable than many other brands. I’m really hoping to get the large leather brooke in eggplant for Christmas! Thanks for the chance to enter to win this beautiful bag! I love the LARGE CLAIRE in black! I love the amethyst shoulder bag! Hi I joined on twitter. My twitter name is NicoleErtl. I like the Kristin Shoulder Flap Bag. I love Coach for their beauty and their long lasting quality. I would really love to win this purse for my mom. she is the best mom ever. she is always there for me and takes care of me. shes my best friend. i want to get this for her for Christmas, she always buys things for me and i want to be able to get her something special because she rarely spends or gets anything for herself. getting this for her would mean a lot to me, she would really love it! shes currently unemployed and stayed home to take care of me and the rest of my family. with these tough times, i want to be able to give her something and be able to make up for everything she has given me in life even thought i can’t even compare or measure up to her. i love her so much. i hope i win! :) Coach purses are so beautiful! Id love to win this purse. Coach purses are really gorgeous and pretty! they match with everything and they last for a real long time too! all the collections are unique and have that classy touch to them. so pretty! please enter me! .-= Trixie´s last blog ..HelloImkiddo: I just entered to win a @COACH Handbag from @thehousewife !! You can enter too http://bit.ly/CoachTFH Ends 12/20 =-. i forgot to mention, that I love walking into the store and the people are always so nice and friendly always asking me if i need assistance. I checked out the Coach website went to the Brooke Collection and i absolutely fell in love with the Coach Op Art Brooke which is $298.00, style:14147. It’s a cute shoulder & hand bag. It’s a light golden brown & pink inside! So cute! I forgot to mention that the best thing about Coach is that their purse last for a real long time, ive seen my cousins purse and shes had it for about 2 years and its still in good condition. i love all the collections, theyre so elegant, classy and unique. theyre all ohso pretty! I remember going to a coach store with her and everyone in there was so nice and helpful, they have great customer service! i love it, unlike other high brand stores they judge you as soon as you walk through the door, not Coach, they are always welcoming and smiling and nice :) that’s why i love Coach and their purses! .-= Clarisse´s last blog ..HelloImkiddo: I just entered to win a @COACH Handbag from @thehousewife !! You can enter too http://bit.ly/CoachTFH Ends 12/20 =-. I absolutely love the style:13821 sequin spotlight bag. Its fabulous! It adds some flair while still being a usable bag. Great for a night out or just to spice up an outfit. I personally could never afford a bag like this but I would love for my mom to have one. I’m excited for the Parker Piece Op Satchel – every gal should have her own little staple black bag and this is the perfect one. The embossed Coach logo pattern on the outside is the perfect way to convey its understated sophistication while the gold looped strap adds a bit of flare. .-= Amy´s last blog ..Pet Peeve #4 =-. I follow @housewife on Twitter. I subscribed to your RSS Feed on my Google Reader. I entered the The Fashionable Gal’s Coach Giveaway! I just posted about the contest on my blog! .-= Amy´s last blog ..COACH Giveaway =-. This bag is sooooo gorgeous and chic. Coach bags are highly beautiful, and are extremely high quality craftsmanship. They really will last forever! I became a fan on Facebook, name is Tayma Gonzalez and i subscribed to your emails. All my handbags are brown or black, this purple one would be the start of a new, brighter, trend for me. I’ve love coach every since high school years, their quality is great, their designs are gorgeous. the bag i like best is leather with chain audrey =] its such a must have bag for me.! thanks! I like that it has lots of room and that it is purple, thanks. Also tweeted! Thanks for the giveaway :) I have one Coach bag (so far!) and I love it, and the holiday collection looks amazing!! I’d love to win because I’ve never owned a Coach bag. I’d love to own it because the quality is unrivaled. I’m following @thehousewife on twitter now – I’m @terithegreat & I entered The Fashionable Gal’s Coach Giveaway. I put your button on my blog – http://terithegreat.blogspot.com/ & I posted about the give away too! .-= Teri ´s last blog .. =-. I love the kira in blue! It is amazing! I love this bag! Coach always has the best handbags and they are made in the USA! A holiday bag I love is Amanda drawstring in black,stunning!! .-= Peggy Gorman´s last blog ..Keep Your Mind on the Wheel =-. I love the bag named Annie. Following you on Twitter my Twitter name is Bandbabe. What I love about Coach bags is that they last a lifetime. I still have a coach briefcase that I purchased *gulp* 15 years ago that still is in use today. The leather may be a bit more worn but everything else is perfect. the hardware, the stitching the straps. It’s all perfect. It was a great investment and still looks fashionable to this very day. what I LOVE about the selected bag for the giveaway is that it’s purple, it’s from Coach and that it’s purple. Did I say that twice? Well anyway…it’s lovely and I could really use a pick me up. Times are tight right now and a new handbag always makes a woman feel better. So even if I don’t win, I think it’s a great giveaway because no matter who wins, they will have a wonderful bag that will remain wonderful for a long, long time! I love Coach because they are so well made and so stylish. The quality of Coach bags is so amazing. Thanks so much for this fantastic giveaway. Would really love to own a Coach bag! I adore the Sequin Spotlight Bag! style:13821! That one is my favorite. I love coach because they have very fashionable purses for every occasion and their price range various so it makes it affordable for most people. .-= courtney´s last blog ..Marc By Marc Jacobs Bag =-. I would have to say my favorite is the Poppy Tartan Tote (14367). What I like most about Coach is the quality at a price that isnt totally out of line. I especially like that they are now offering many cloth options. I love COACH for their quality handbags and awesome customer service. Right now I am loving the new Alex bags that just came out, and I adore all of the pretty purples they have come out with recently. .-= Laurie´s last blog ..DFW New Moon Charity Event and Giveaway =-. wowwwwwwwwwww… all the bags are gorgeous!!!!!! but the pop c glam is my favorite!!!! Love it…. .-= Aisha Hasan´s last blog .. =-. I follow @Coach on Twitter! .-= Lachelle´s last blog ..LA Girl Rockstar | Punk =-. I am loving all of the Audrey handbags but my favorite Coach bag for the Holidays is the metallic leather large audrey (style:14241). I love its festive brass/gold color. OMG, I LOVE that bag!! It’s so gorgeous. What I like most about Coach is that they have such a wide variety of bags. They have everything, from timepiece bags that never go out of style, to glam clutches. I love it! .-= Polly´s last blog ..PollyXO: Could not be happier <3 =-. I LOVE PURPLE!!!! That’s why I would love to win the coach bag. Purple is the best color ever! I love that Coach provides such high quality handbags at a fraction of the price of other designers and that they have such great bags at their outlet store! I love the Audrey bag that you are giving away. Purple has been my favorite color forever. I am so happy that its “in” because I have found some great purple items for my wardrobe. I love Coach bags for their quality and classic style. I would have a dozen of them if I could. @xxprincesa69xx is following @thehousewife on Twitter!! @xxprincesa69xx is following @COACH on Twitter!! I really love that Coach has something to fit every woman’s style, young or old, and I love the new ALEX OP ART QUILTED PRINTED LARGE TOTE. i love coach purses but i do not have the money to spend much on them so this is a great opportunity for me to have one. it gives your outfit a statement once you use it, and the color is beautiful. please enter me for the contest!! i love all of the purple handbags! what beautiful, rich purples! Blogged about the giveaway on my myspace blog!! I love Coach bags for thier quality. The really stand the test of time. I got my first Coach bag Christmas of 07 and that bag still looks great, holds it shape and the leather braided straps still feel fabulous! My favorite Coach Bags are in the Brooke Collection; some of my favorites are the Op Art bags, leather and Inlaid C.
I LOVE COACH!! it is amazing!! I have to say after looking at the holiday collection, wow!! loving the beautiful shade of purple they have chosen!! Really love the texture. Please enter me in the draw!! I absolutely love the new holiday bags that Coach put out this season! My favorite would have to be the Textured Audrey bag.. I think she’d go great with my brown Kira! :) Happy Holidays! .-= Kiersten´s last blog ..The Editorial Vault II =-. I love Coach’s bold colors and textures for the winter season! I love the OP ART SATEEN AUDREY so so pretty! DAllen2384 follows @thehousewife and @COACH on Twitter! posted the box on my facebook! I love the Large Maggie in the Madison collection in Amber/Copper. I’m a ugly bag mom! .-= Ann A´s last blog ..I’m a toddler-toting mom and I carry around an ugly bag!! =-. The thing i like about coach purses is that they always make them very fashionable and very practical and you can also use them throughout the years and they are very well made quality wise that they will look like new for alot of years. I love the Kristin Tote! What I love best about Coach is how timeless their classic bags are. I still have my first Coach bag I got when I was 11 and I’m 35 now! .-= Sasha´s last blog ..Amazon Prime- Free Trial! =-. I just entered the Fashionable gal Coach Giveaway! I love Coach bags. I love Coach because of the excellent quality and soft leather. I really want an Audrey bag in brown. @toby_is_cute is following @COACH on Twitter!! I love Coach bags because they are so high quality, they will last for years! The Holiday Collection is to die for. Love all the great colors. Hi! I love all the coach poppy bags, they are so colorful. the thing i love the most about coach is their comfort, they have the most comfortable shoes! i subscribed to your rss feed, followed you on twitter, tweeted about the contest, and became a fan on facebook. Im entering fashionable gals contest now! thank you! good luck everyone! .-= Hannah Marie Krajewski´s last blog ..jewskiii: Hmm… I’m thinking about about copying @truebamboo and changing my twitter name… =-. Quintessential New York—elegant yet go-anywhere, nostalgic yet modern. A great all-day bag with a generous interior. .-= goodgirlgoneblog´s last blog ..Wish List: Ann Taylor Loft =-. 1. I entered The Fashionable Gal’s Coach Giveaway. 2.I entered The Fashionable Gal’s Coach Giveaway. Oh i didnt make them seperate sorry! i subscribed to your rss with my google email! 3. I entered The Fashionable Gal’s Coach Giveaway. I entered the fashionable gal’s contest! I like the black and white bag you’ve displayed. I like it because it doesn’t have the “C” all over it!! Thank you and happy Thanksgiving!! .-= Patriot´s last blog ..Minuteman Pen Plus – Giveaway!!! =-. I love the Poppy Sequins Mini Flap! It’s great just for the holidays! I have many everyday bags, but nothing for the holidays. This would go great with my Coach bag collection! I tweeted! Thanks for the chance! I love the color and have never owned a purse with such breathtaking coloring! Yay! Thanks!! 4. I entered The Fashionable Gal’s Coach Giveaway. 5. I entered The Fashionable Gal’s Coach Giveaway. My fav is the sabrina satchel in lilac. I think it’s called sabrina, it was that beautiful color that really caught my eye! .-= knownever´s last blog ..Foiled Nail Lust =-. I also entered The Fashionable Gal’s Coach Giveaway. I used to see Coach as that store that only sold things in earthy tones with Cs all over the fabric. But in recent years, and especially this holiday season they have really stepped up their collection to include amazing colors, patterns and designs. I love at least a dozen bags on the site. It’s amazing. .-= Katy´s last blog ..Send Your Letters =-. .-= Katy´s last blog ..Coach Holiday Blog-A-Day Giveaway =-. I’m a toddler-toting mom and I carry around an ugly bag!! The Large Maggie from the Madison Collection is perfect in Amber/Copper Color. Too cute even the giveaway! I like the Coach Sabrina Satchel. I love all the COACH bags! I would love to win this bag! The Audrey, Brooke, Hailey and Madison lines plus the wrislets are so functional and fashionable. As a stay at home mom I would love the glamour of the amethyst bag! And it would rock with my winter wardrobe! #1 I have your Sidebar button added to my blog. #2 I have your Sidebar button added to my blog. #3 I have your Sidebar button added to my blog. #4 I have your Sidebar button added to my blog. #5 I have your Sidebar button added to my blog. I love all Coach bags, but especially the purple tote. Coach is always the trendsetter when it comes to beautiful well-made bags. I am a follower of Coach and the Fashionable Housewife on twitter (@awilsonrn). Is there a more American handbag than Coach? It’s like the American Hermes of equestrian inspired history in a handbag ! I have a collection of Coach’s dating back over 20 years. Those that slumber in their sleep bags always find their way into use as I circle back to the early classics and then come back to a modern incarnation. Every handbag included here is an example of utilitarian usefulness as well as classical elegance and style with a twist. I’ve Entered The Fashionable Gal’s Coach Giveaway. I like the COACH OP ART BROOKE purse. They have so much selection of colours and sizes. From big to small, great if you need the space or not. My favorite holiday handbag is their Sabrina satchel. Thanks for the contest! I love the large crackled metallic Brooke bag. Lots of room for my ‘everything but the kitchen sink’ contents! I’ve never owned a Coach bag so I can’t really say what I like best. But from drooling over the pics on their website, I can say I Luv the styles, colors, & quality leather used! This would be a dream come true – for all of us who have entered. Thank you for the opportunity! .-= NeboBeads´s last blog ..NeboBeads: It’s #ShopCyberMonday giveaway day! Starting at noon EST I’ll be giving away gift cards right up to the 8 pm party. Just tweet w/ the tag! =-. .-= NeboBeads´s last blog ..NeboBeads: I just entered to win a @COACH Handbag from @thehousewife!! You can enter too: http://bit.ly/CoachTFH Ends 12/20 =-. I like the Garnet Textured Metallic Clutch in Rose because it is so feminine. I’m LOVING the Purple Brooke Inlaid!!!! i love the new alex collection i love the colors and styles. honestly i love all the collections. they have a purse for everyones own style. they have colorful and spunky to classic and elegant.i really think thats whats best about coach no matter who you are and what you like you can find a coach just for you!!!!! I’ve also entered the Fashionable Gal’s Coach Giveaway. .-= NeboBeads´s last blog ..NeboBeads: I just entered to win a @COACH Handbag from @fashionablegal !! You can enter too: http://bit.ly/CoachTFG Ends 12/20 =-. I love the leather Brooke Bag, Madison op art sateen claire, kristin tote, claire…and more haha i can’t choose!! and your zebra bag is to die for! one thing my bag has to be is; BIGGG! i carry a lot of stuff, half of it i don’t even use, but only for if i might need it. So this is a great contest! And i wish everybody good luck! I love the Zebra Haircalf Brooke Tote as seen above! I also entered the fashionable gal’s coach giveaway and am a fan on Facebook. I like that Coach is an affordable fashionable luxury brand. I like the purple bags you featured in the Holiday Handbag post. I love Coach for being so classic and chic and offering designs that appeal to a whole array of styles! Hi there!!! I love your blog it had helped me so much!! My favorite bag of Coach has to be the COACH OP ART SATEEN LARGE MAGGIE!! its so gorgeous…. I also love your Zebra bag, its beautiful!!! Thank you so much for entering me!!! I would love to win that Audrey bag!! I adore the color… is perfect for a christmas present!!! I’ve loved Coach for a LONG time. There are just so many bags to chose from the purple sequin mini flap poppy is one that i really like. I love that Coach is being so generous during the Holiday’s. Thank you. my entry #1 was flogged by soma filter???? I absolutely love this bag because its purple and it is my top pick on the coach website and I would just die if I won it. I am totally in love with the Amethyst bag. Coach is such a terrific brand and I have collected many of their pieces over the years. Winning this amazing bag is certainly an awesome way to start off the holiday season! I like Sabrina Satchels ! fan of The Fashionable Housewife on Facebook@tcarolinep JessieKatie S.
…..5 entries……… i entered the Fashionable Gal’s Coach give away!! !